Asparagus photo by Wendi Dunlap. 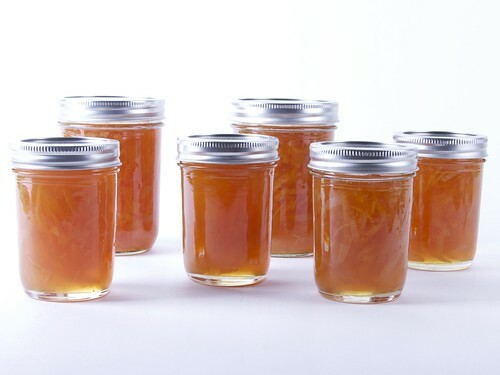 Having explored sweetness at last month’s Canning Connections, we do a big turn to tartness for our April 23 session. 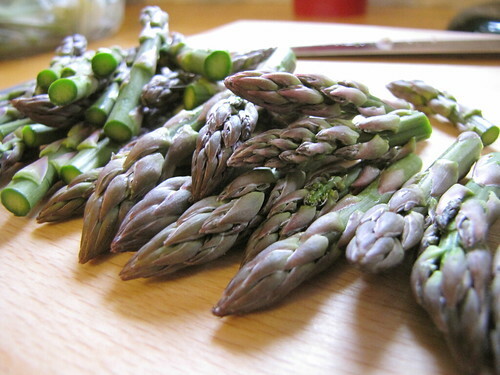 We’ll be putting up pickled asparagus, so appreciated later on when fresh young shoots are no longer in the markets. To complement those spears, we’ll experiment with pickling garlic. Will it be the recipe for Chinese, French, Korean or another variety of pickled garlic? Both of these pickles make great gifts. This session is open to those who have taken our beginner class, or those who have experience with water bath canning. Class is held Tuesday, April 23, 7-9 p.m. at the Garden House (2336 15th Ave S.) Cost is $15 and includes everything but your apron. Register online at www.canningconnections.com. Photo by Amanda Slater via Creative Commons/Flickr. Demand for canning instruction has led the folks at Canning Connections to add monthly beginner sessions on the first Tuesday of each month in 2013. These beginner sessions cover the basics of safe food preservation using the waterbath method of canning. The sessions are held at the Garden House (2336 15th Ave. S.) from 6:30 p.m. to 9:00 p.m. Cost is $15, payable the night of the class. The class is suitable for beginners or those wishing a refresher or update of safe canning practices. All supplies and equipment are provided; just bring your apron and enthusiasm! To register for the Feb 5th session (marmalade), email Diana at ankataa@yahoo.com. You can find Canning Connections online at their website or their Facebook page. 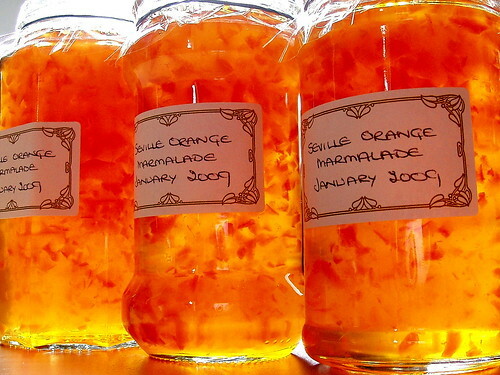 Marmalade photo by Lenore M. Edman, www.evilmadscientist.com, via Flickr/Creative Commons. Interested in food preservation? Canning Connections is a group who meet monthly on North Beacon Hill to can and preserve different foods. (Most recently, they made cranberry mustard and cranberry conserve.) This year Canning Connections is offering holiday gift certificates for $15. Certificates can be used at the January 22 beginner/refresher session, covering required equipment and the latest techniques for safe canning. The January session is suitable for those who have never tried preserving, as well as those who just need a refresher. All sessions are held at the Garden House, 2336 15th Ave. S. Everything you need is supplied except your apron! For more information about sessions or certificates, contact Canning Connections at gaspari5@msn.com. 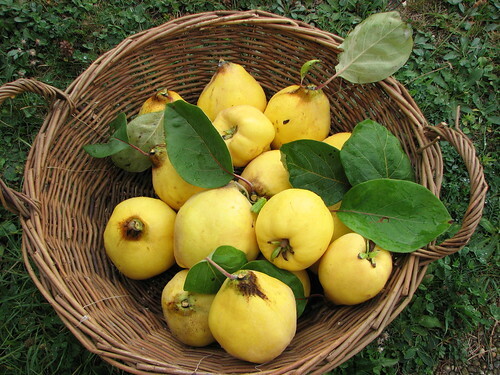 Quinces photographed by Franca Piccione, via Creative Commons/Flickr. All neighbors are welcome to drop by Tuesday’s workshop between 7:30-8:30 p.m. to sample previous canning efforts, pick up recipe sheets, and buy organic quince for $3 per pound. Canning Connections comes to the Garden House, 2336 15th Ave. S., on the fourth Tuesday of each month. For more information, see the website. 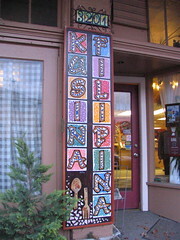 A colorful sign marks the front entrance of Kusina Filipina. Photo by Wendi. After yesterday’s plum tree story, we have more food-related stories for you to check out! The Om Nom Nom Nom foodie blog reviews Beacon Avenue establishment Kusina Filipina: “The food is really good. I think it comes pretty close to authentic Filipino food.” Despite the good rating for the food, and an overall positive review, they give it 2.5 doughnuts on a 5-doughnut rating scale. Tough critics! Laura at the Beacon Hill Bungalow blog just canned 75 pounds of tomatoes. We salute her ability to slave over a hot stove in August. It will all be worth it this winter. OK, it’s not actually about food, but the University of San Diego Student Radio blog features “Coffee and Conversation with Sabzi of the Blue Scholars,” from our very own Victrola Espresso on Beacon Avenue. In the interview, Sabzi discusses the Northwest’s musical identity, the role of record labels in a changing music industry, the current and future state of music, and more. If you haven’t yet gotten around to hearing Blue Scholars, there are links at the bottom of the interview to a couple of songs you can stream.